Bank of England plans to force badly-performing bankers to pay back bonuses could hurt London as a financial centre, the banking industry has said. 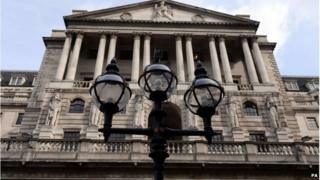 The new rules could put UK banks at a disadvantage compared with banks elsewhere, an industry body said. Bankers may have to give back bonuses up to seven years after being awarded them. Even if share awards have been cashed and spent, bankers could be asked to pay the money back. Many bankers receive a substantial chunk of their pay in the form of an annual bonus, which can be up to double their basic salary. Under current rules, that bonus is usually deferred for a period of three to five years, during which time it can be clawed back if appropriate. But misconduct such as rigging interest rates or reckless risk-taking can take longer to emerge, so under the new policy, bonuses may be clawed back up to seven years later. The Bank also published new rules for senior managers in the industry. The British Bankers' Association (BBA) said the pay rules would put the UK at a competitive disadvantage. "We now have the toughest regime in banking pay of any global financial centre," said Anthony Browne from the BBA. "Bankers are paid less here [in London] than in New York, Singapore or Hong Kong, and ultimately this could have an impact on the competitiveness of London as a financial centre and the jobs and tax paid here. "We have the world's largest international banking sector and we do have to make sure that we can continue to employ banking talent from around the world." Bankers who are found guilty of "causing a bank to fail" by taking a "reckless decision" can already be sent to jail, or given unlimited fines. To be found guilty, senior managers have to be aware at the time that their actions might cause the bank or building society to collapse. If convicted, they can face up to seven years in jail. "Holding individuals to account is a key component of our job as regulators of banks," said Andrew Bailey, the Bank's deputy governor for prudential regulation. "The combination of clearer individual responsibilities and enhanced risk management incentives will encourage individuals in banks to take greater responsibility for their actions," he said. The move comes days after Lloyds Banking Group was fined £218m. The company was condemned for "serious misconduct" over certain key interest rates set in London. Antony Jenkins, chief executive of Barclays, was supportive of the Bank of England plans. "I believe that banks have to regulate themselves and that's why culture is so important, so that banks do the right business in the right way," he said. "I would say that in principle, I support the idea that where there is wrongdoing, there should be appropriate punishment. "If that's criminal wrongdoing, it should be criminal, if it's recklessness, that should be punished also, so I'm not against the concept of clawback," he continued. The Bank of England warned in March that bankers might have to return their bonuses up to six years after receiving them. Speaking earlier in the year, Mark Carney, the governor of the Bank of England, told the BBC's Andrew Marr that bank bonuses should be deferred for a "very long time" to ensure bad practice was not rewarded. The new rules on bonus payments will come in on 1 January 2015, in time for next year's round of bonus payments in the City. Libor scandal: Can we ever trust bankers again?